Raise your hand if you love filling out your tax return every year. How about government censure surveys? No? How about doing a quick Facebook quiz on your dream vacation destination? Or telling your company with a click of a button which new laptop you would like? Yes, everyone loves those! Why is that? First of all, doing tax returns or filling out huge questionnaires is not only boring, but you have to do it! No one likes to be forced into a tedious job that will take forever. So, most people avoid them as long as possible, hand them off to someone else, or cheat their way through them. Secondly, everyone loves to do silly Facebook quizzes or quick surveys that impact you positively. They are interactive, fun, but most importantly they are done voluntarily! Even in a business environment where employees are asked to respond within a certain time period, you will have a much higher response rate by making it a voluntary self-serve activity than by forcing everyone! Psychologists call this phenomenon the difference between extrinsic and intrinsic motivation. While both are important, they do result in different behaviors and affect how people pursue their goals. Extrinsic motivation occurs when something is done to avoid punishment or to earn an external achievement. Two examples are filing taxes to avoid late penalties or pursuing a certification to get the certificate. This often results in doing something for the sake of just getting it done, without enjoyment or satisfaction. A great application of this concept is "lean" software development. Rather than forcing testers to provide feedback on an already developed product, a few selective users are invited to actively participate early on —even in the conceptual and prototype phases. This not only makes them feel like they are part of the development, but they are so behind the application that they often become the biggest evangelists promoting the product internally! 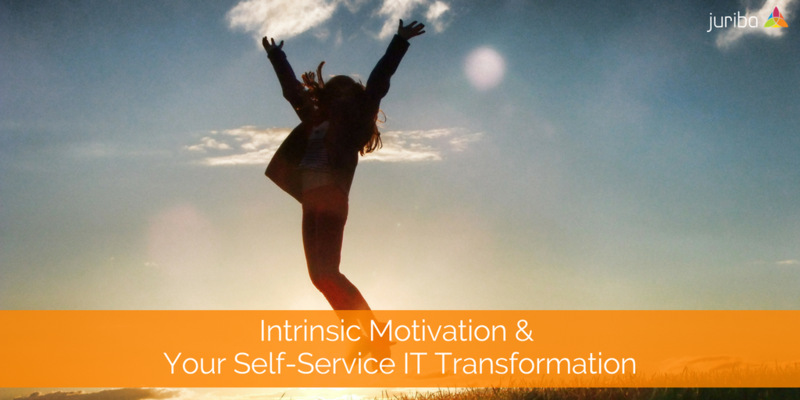 You can use intrinsic motivation for your IT Transformation projects in the same way! Each project, no matter how big or small, has tedious, monotonous tasks that have to get done — no matter how much your end users despise them. Traditionally, users were told what to do at the end of the process without any prior involvement or transparency — putting them in a reactive and often defensive position. Understandably, users are often anxious about initiatives that might change their familiar work environment, disrupt their daily routine, or impact their productivity. So they ignore your requests as long as possible or even actively block your progress. Today, I want to show you a few examples of how you can leverage your co-workers' intrinsic motivation and turn externally-motivated avoidance into internally-motivated engagement simply by being transparent and offering self-service! Recently, we shared the story of Pillsbury Law, an innovative law firm, who migrated their organization to Windows 10 in less than five months. In their previous OS rollout, they had a floorwalker go around to every single lawyer, associate, and employee to record their preferences — a task that took somewhere between 10-30 minutes per user! In an industry where billable hours are precious, your employees cannot spend that much time chatting about screen resolutions! This time around, they offered self-service in several ways: They first sent out an automatically preloaded questionnaire to collect user preferences, which could be completed by users in less than 5 minutes (huge time savings). This was followed by a request to select a new device from a predefined list. The average response time here was 3 days! In addition to those two examples, self-service can be used in various ways. Users can pick their preferred migration slot based on previously defined parameters, such as capacity or migration window by location, validate application usage or other data, confirm personal preferences, provide feedback or even sign off on their migration! Your creativity is the only limit! Give a few selective users from various business units and departments the opportunity to become an early adopter of new technology (e.g., volunteering to be part of Windows-as-a-Service deployment ring 0 or 1). Facilitating the possibility to align the shipping of equipment earlier based on earlier migration dates (e.g., option to choose new device and schedule). Allowing your users to provide constructive feedback on a service and improve subsequent user experiences. Deeply embedded self-service and employee-driven transformation into the corporate culture. To participate in self-service IT Transformation is being a good corporate citizen. 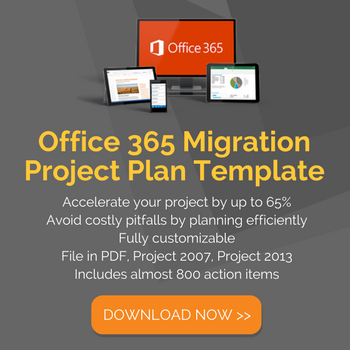 Giving more transparency into the progress of your migration. For example, if end users can see that their status is "red" even though they could be migrated, it would motivate them to volunteer earlier — because nobody likes to be shown up in red! These are just five simple ways how to boost your employees' self-service response rates. I am sure, you will find others! There are no two ways about it. 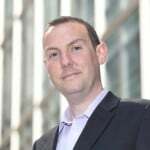 With the ever-increasing pace and velocity of change IT environments have to cope with today and in the coming years, you need your users to be intrinsically motivated and actively engaged in your ongoing IT Transformation! Self-service is the natural connector between your team and your business users and should be used wherever it makes sense. Want to see Dashworks' Self-Service capabilities in action? Click below to schedule your demo today!